I want to improve your life. That’s it. BUT, first: did you read my client’s testimonials at the bottom of the page? It’s important that you read my client’s testimonials so you know what kind of results are realistic with this program. Alright, I want it. But what exactly is fitness coaching? I'm laid back and love learning about health and fitness and sharing it with others. I enjoy problem solving and helping others change their lives. I believe in proper movement, form and focus on making workouts fun and sustainable for all levels. And most importantly, I get people results. Please don't hesitate to ask any questions! Took the time to understand the person, the diet and the physical abilities and go from there. I have been working with Nate for just about 3 months now and he is incredible. He has such an easy personality to get along with and I feel more than comfortable saying what is on my mind - fitness related or not. He has worked with me to figure out the best approach to get me where I want and need to be. Highly recommend! 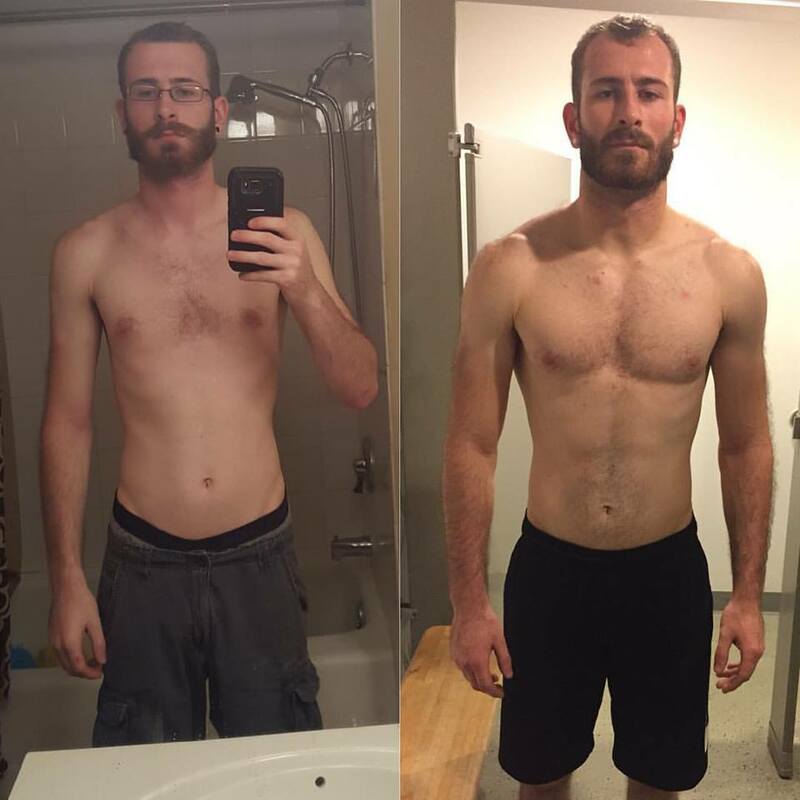 Nate is an amazing personal trainer, hiring him was the best decision I made. Nate is very knowledgeable and easy going. Even the environment is really positive compared to other places I have worked out in. Hiring Nate as a personal trainer is a decision you'll never regret. Nate is an amazing personal trainer. He is sensitive to what me and my body needs and customizes my sessions to fit my goals. I enjoy every intense session. I've never loved working out this much even when I'm in pains. He makes sure I'm eating the right things in the right portions. And he plays country music during our sessions because he knows that's my favorite genre. He is awesome!!! I lost a lot of weight, look great and feel amazing. He's not lying when he says that you'll reach your goals when you follow his workout and nutrition program. He's very easy to work with, very knowledgeable and always makes the workouts enjoyable. I had to wait on his waitlist till a time that worked for me opened up but was well worth it. I would highly recommend! I always had the perception exercise had to be grueling or like a bootcamp style to see results. However, Nate knows the exact amount of exertion to see massive results without injury/pain/stress to the body. 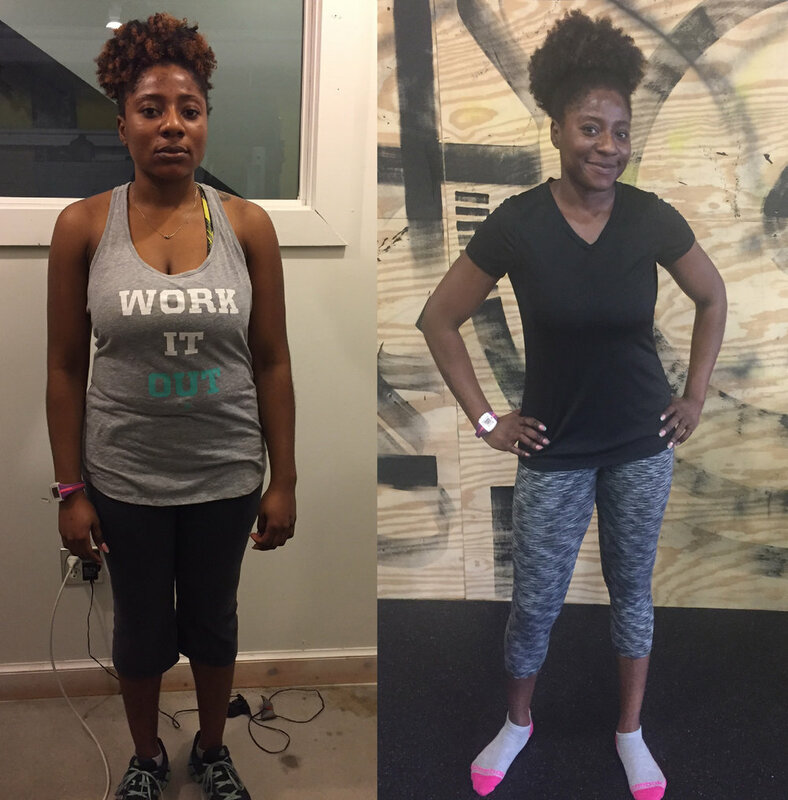 Nate provided me with meal preparation, strength training, and motivation which yielded in inches lost, improved blood work, and pounds lost! 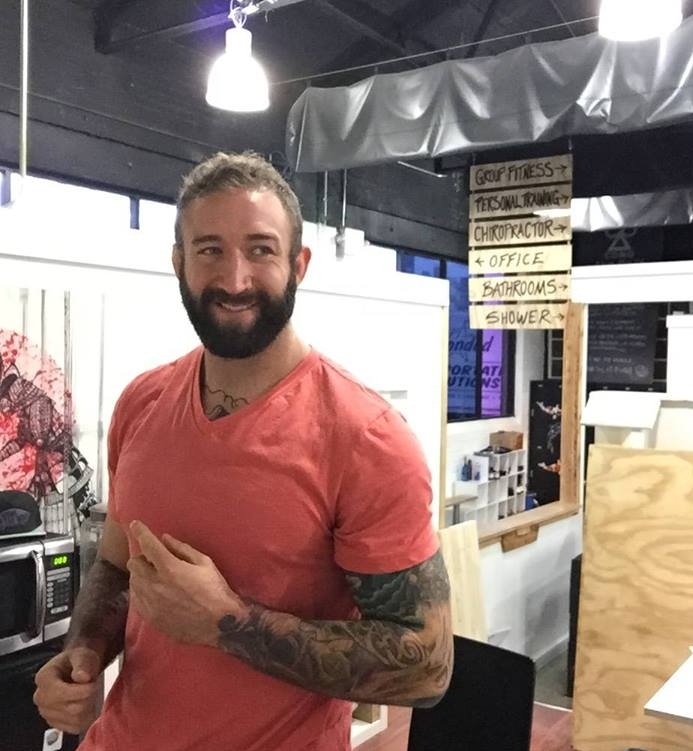 If you’re looking for a modern strength training gym, great energy, and weight loss - Nate is your coach! Thanks Pam, hit me up if you move back! Miss you. Give him a try, wont regret it! Nate is great! Flexibly, easy going, non judgy and open to suggestions. Hes also very very knowedge about physiology and can recommend various moves stretches etc based on his vast experience. Nate is very motivated and knows his stuff. Hoping this will become a solid and healthy permanent change to my lifestyle, and he is helping me do that. His humble and down to earth personality definitely eases any tension/self doubt. Andrew, anytime you have any questions, feel free to hit me up, doesn't matter when. NATE IS GREAT!!!! I was hesitant to start up personal training again. Past experiences with other trainers left me discouraged and feeling as I wasted money and time for little results. I started working with Nate in February and I could not be more pleased with the progress we've made. I look better, feel stronger and have a much better understanding of how to correctly use my body for maximum results. Nate's training style is educational, encouraging and incredibly motivating. I highly recommend him!!!!! 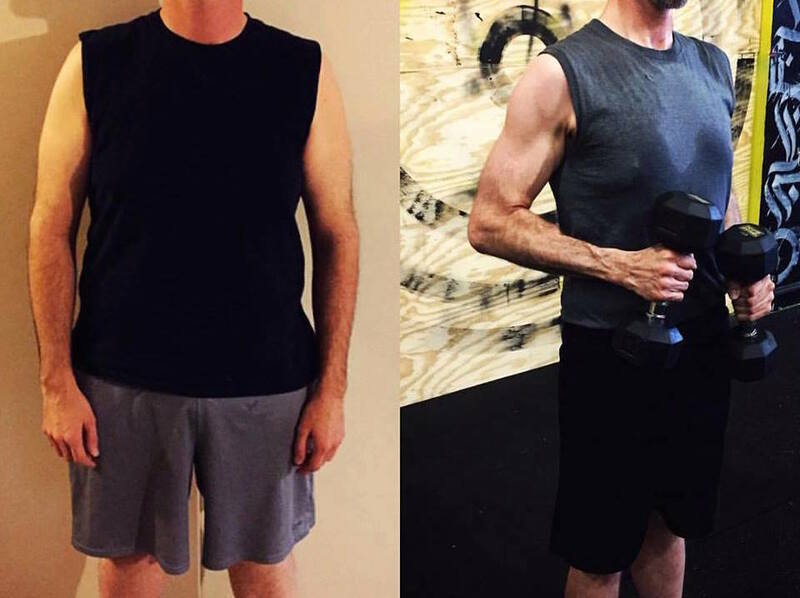 I signed up for Nate's Body Transformation Program and lost 30 pounds in 4 months! I was a little self-conscious to begin working out, but he made me feel comfortable and laid everything out for me so it was easy to follow. Honestly, this has been one of the best investments I have ever made and it has changed my life. Nate is fun to work with and he is very knowledgeable. I would recommend to anyone! And now you've lost over 50 pounds! Keep up the great work! Nate is a great trainer. Very knowledgable and helpful with nutrition and getting in shape! Always a great total body workout with Nate! I have gotten good advice on exercise, technique and diet from Nate. As an older adult, I am very aware of my body's limitations. Many programs and trainers use a one size fits all approach which can be harmful to seniors. Nate works well with older adults and gets results while staying within our limitations. I was very active in my twenties, running, playing sports, but struggled for years with fatigue and became overweight, and felt like I was continuously hitting a wall when I tried to exercise. I had almost no experience at the gym, but Nate helped me feel comfortable with getting started. He was patient and helped design a program to suit me and adapting it as I progress, helping me to gradually build strength and gain energy. He has a great sense of knowing what my limits are and how far I can be pushed. So far, with his workout plan and diet tips, I have lost 20 pounds while gaining muscle mass, and Im feeling great. I took a self defense class from Nate. I hadn't done anything like that before and knew nothing about it. He explained everything very well and demonstrated clearly what he was teaching. He was very willing to answer questions. It was obvious he was very knowledgeable and knew what he was talking about. He instilled confidence. Nate is very knowledgeable and motivational! He has definitely helped me to achieve my fitness goals and keep moving forward. I look forward to our sessions!